At Yoga Squad we offer a range of different styles of Yoga suitable for beginners and advanced yogis. Classes are held In three different studios at the venue that overlook the waterfront. Our focus of all our classes is to balance mind and body through the exploration of poses (asanas) breath (pranayama) and meditation. We recommend that people new to yoga try out our beginners classes. Four individuals with four very different backgrounds joined together to create the Yoga Squad. They had one in thing in common. Their passion for yoga, and their passion to teach. After searching for months for a property that was suitable we finally came across The Venue. We didn’t want a regular holistic studio, we wanted a space that had character that members would love to visit. We wanted to create a yoga community, a family, a squad inclusive to everyone. 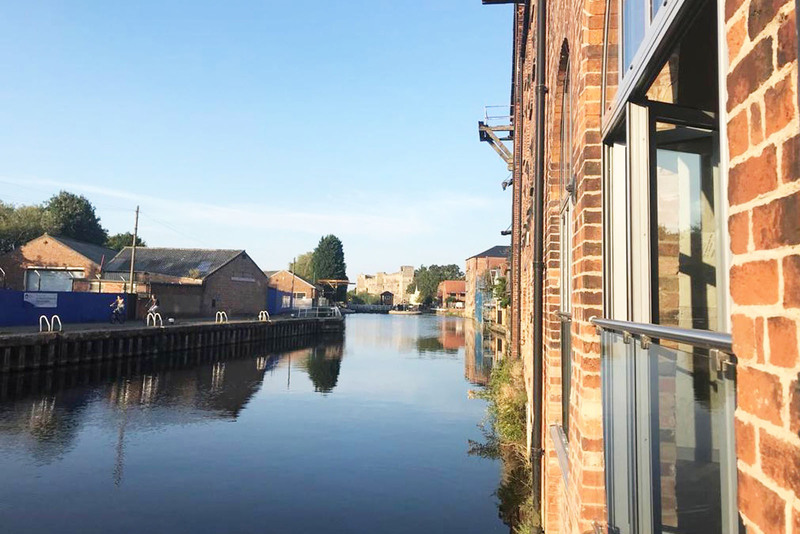 The Venue is a recently developed former museum located on the riverside. 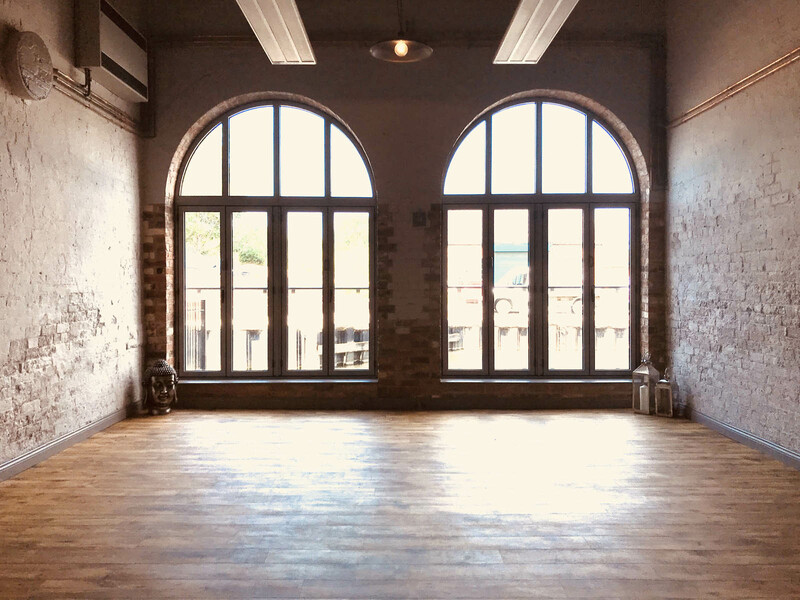 Yoga Squad thought it was a perfect space for teaching classes due to the natural light and riverside views. Aerial Yoga is yoga using a hammock as a prop. The hammocks are set at hip height and allow us to move more freely, stretch easier, attain correct alignment and do advanced poses such as inversions and handstands. Aerial yoga also offers great therapeutic benefits by using gravity to stretch the spine, relieve back pain. Restorative Aerial Yoga is a slower paced class where the hammock is set 10-12 inches off the ground. The low hammock set up allows us to use the floor for extra support and gives us more opportunity to release. Vinyasa Flow provides a full body work out, combining movement with breath. 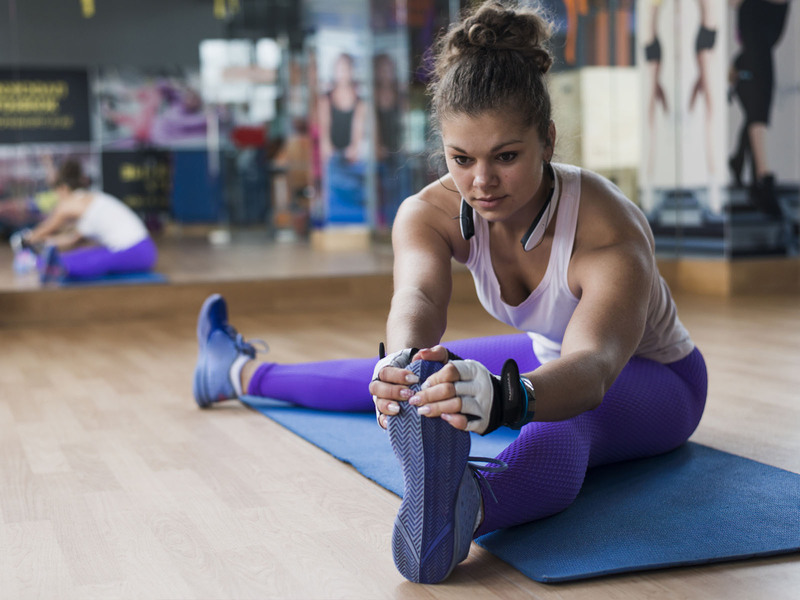 For those members wanting to practice without the heat of a hot studio we offer a fast paced class designed to improve balance, flexibility and core strength. Hot Power Yoga is a modern and athletic style of Vinyasa Yoga. Held in the hot studio with temperatures of 37 degrees we combine physical postures and dynamic movements with breathing exercises. BODYBALANCE is the Yoga based class that will improve your mind, your body and your life. During Body Balance a soundtrack is played and you bend and stretch through a series of simple yoga moves and embrace elements of Tai Chi and Pilates. You will strengthen your entire body and leave the class feeling calm and centered. BARRE is a modern version of classic balletic training. A 30 minute workout designed to shape and tone postural muscles, build core strength and allow you to escape the everyday. Incorporating classic ballet positions with modern music, it is a combination of cardio and strength. Kundalini Yoga is a style of Yoga that is influenced by Shaktism and Tantra. It is an uplifting practice that incorporates movement , dynamic breathing techniques, meditation and the chanting of Mantras. Beginners Yoga is an opportunity to discover the basics of Yoga. These inclusive classes are designed for all abilities. It will bring confidence and reassurance to your Yoga practice. Hatha is a branch of Yoga that combines different styles of Yoga through the use of sun salutations and positions. The term 'hatha' means 'force' and is generally a slower paced class to Vinyasa Flow where positions are held for longer. Yoga Squad offers 121 yoga sessions to deepen an individuals practice. 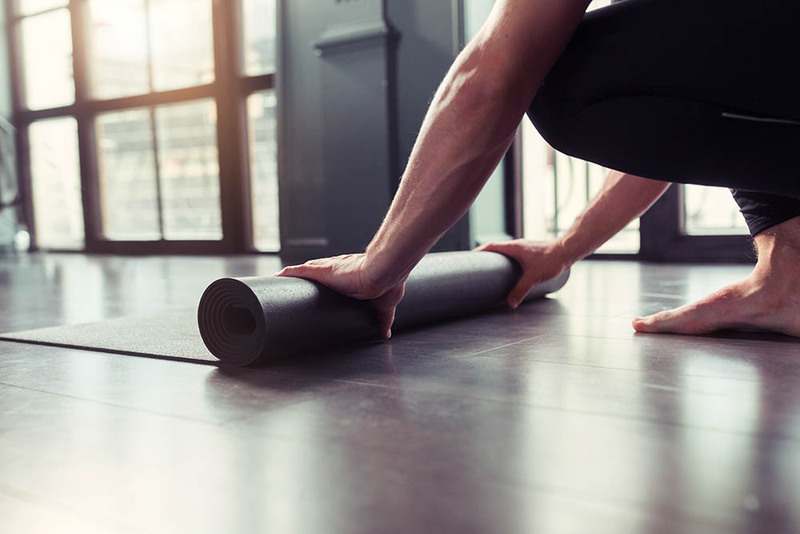 There are many benefits of private sessions including, perfecting positions and alignment, addressing specific health issues or injuries, having the flexibility to practice when classes are not running. Private sessions can also give an individual the confidence to try more challenging poses they may not attempt in a class environment . Yoga squad offers private group sessions allowing you to practice together in an organised group at a time that suits. This can be ranging from a group of friends, a hen do, a sports team or work day out. These classes allow individuals to deepen their practice and also build connections within the group. Bootybarre is a fun, energetic, workout that fuses techniques from Dance, Pilates, and Yoga that will tone, define and chisel the whole body. Bootybarre is the perfect combination of strength and flexibility with an added cardiovascular element utilising the barre. With a wide range of yoga classes to suit all, view and book online from our available classes today! © 2018 Yoga Squad. All rights reserved.